Beaver Scouts are the youngest section of the Scouting family. Children can join us when they are 6 and then move onto cubs when they are 8. 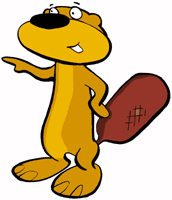 1st Binfield currently have two beaver colonies who meet during term time at our scout hut in Binfield. Both colonies follow the same programme of activities and sometimes we meet together to take part in joint activities as well as meeting other beavers in the South Berkshire district. Beavers wear a turquoise sweatshirt on which they can sew their badges. When a Beaver is invested into the group they will need to quote the Beaver Promise and Moto, these can be found here. The weekly activities that we plan for the Beavers work towards the many badges that can be earned during their time in Beavers. We do have a waiting list for both colonies and we are currently run at full capacity for both. Places do become available as children move onto cubs. All our parents are expected to help out once a term as we operate a parent rota. If you would like your child to be added to our waiting list or just want more information, please use our contact form. We are always on the lookout for more parents to come forward to help and become a Beaver Assistant Leader. The role as a Leader is rewarding not only for the children but for yourself. The role is a voluntary but if you are interested in becoming a Beaver Leader click here for further information or alternatively speak to one of out leaders. We are also putting together a resource section on the site, so if we have any documentation that we need to get out to the parents we can direct you here. Every term we put together a plan which covers various aspects of the Beaver Badge requirements. We vary the plan from term to term.